What do you do if someone steals money or property from a trust or estate? California Probate Code section 850 allows you to ask the Superior Court to order the thief to give the money or property back. To discourage such theft, Probate Code section 859 provides that the wrongdoer “shall be liable for twice the value of the property recovered,” and may be liable for legal expenses incurred to recover the property, if you can prove the wrongdoer took the asset in bad faith, through undue influence, or through the commission of financial elder abuse. Like many California statutes, the “twice the value” language of Probate Code section 859 is not crystal clear. Thankfully, the Fourth District Court of Appeal in Conservatorship of Ribal (2019) 31 Cal.App.5th 519 recently provided guidance as to how to the calculation works. What happened to Joseph Ribal? Joseph E. Ribal and Lu Tuan Nguyen lived together and eventually became domestic partners in 2010. Joseph, however, suffered from dementia and other cognitive impairments and therefore lacked sufficient mental capacity to consent to the domestic partnership. Joseph’s adult children became his conservators in April 2012 and quickly moved to annul his domestic partnership with Lu. After annulling the domestic partnership, Joseph’s conservators discovered that Lu had taken Joseph’s property. They brought suit under Probate Code section 850 and California’s financial elder abuse statute to recover this property. At trial in Orange County Superior Court, the judge found Lu liable for $79,991 in property taken from Joseph and an additional $20,000 in personal injury damages. What does “twice the value” mean? The lower court’s statement of decision stated that the total amount for which Lu was liable was $179,982. In a follow up order, the court broke this down as follows: $79,991 x 2 + $20,000 = $179,982. In other words, the court took the $79,991 in taken property and doubled it, and then added in the personal injury damages (not subject to the doubling statute). Joseph’s conservators, however, then filed a proposed judgment which calculated Lu’s liability as follows: $79,991 + $79,991 x 2 + $20,000 = $259,973. In doing so, the conservators took the creative position that because Probate Code section 859 includes a statement that the “twice the value” provision is “in addition to any other remedies available in law,” the double damages should be added to ordinary compensatory damages for an aggregate treble recovery. The lower court signed this proposed judgment and Lu eventually appealed. On review, the appellate court rejected the conservators’ argument, determining that the Probate Code provides only for double damages, not triple. The court observed that the California Legislature knows full well how to provide for triple damages, i.e., by writing the wrongdoer “shall be liable for [three times] the value of the property recovered” and that it very clearly did not do so in this case. The appellate court therefore found that the correct calculation of total damages was simply the value of the property taken, times two, plus the personal injury damages. Probate Code section 859 allows a successful petitioner to obtain a double recovery, and perhaps legal expenses, without the heightened proof needed to justify punitive damages. We discussed the potency of the section 859 remedy in an earlier post. 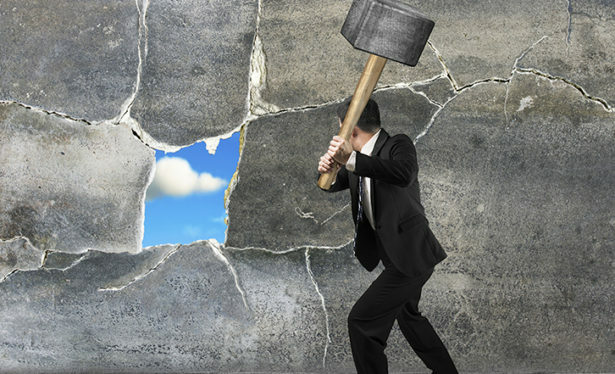 Even without trebling, section 859 remains a big hammer in the California trust and estate litigation toolbox.